The primary responsibility of a Quality Analyst (“QA”) is to review Medical Disability Examination (“MDE”) reports and Disability Benefits Questionnaires (“DBQs”) generated by medical providers on Veterans evaluated on behalf of the Department of Veterans Affairs (the “VA”). A QA works closely with medical providers to ensure MDE reports and DBQs are consistent with the quality and timeliness requirements of the VA. Consistently achieve weekly/monthly qualitative and quantitative goals set by management. Proficient with Microsoft Word, Microsoft Outlook, Adobe Acrobat, general internet research, and beginner knowledge of Microsoft Excel. Frequently utilizes phone, fax machine, computer, printer, and copy machines. OUR MISSION STATEMENT – To honor and serve America’s Veterans and Active-Duty Claimants by providing quality and timely reports through fair and objective evaluations performed by trained professionals in a respectful and hospitable environment. 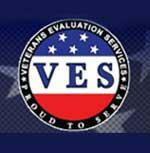 VES® is a Veteran owned service company. Key members of our team across the nation are Veterans who proudly served our country. We are proud to be American and we are proud of our service. As Veterans ourselves, some of us having gone through the VA disability claims process, we understand that our real customers are the Veterans who sacrificed for their country and deserve our utmost respect, compassion and care.